Sometimes you don’t really know what you need until you see it. Which is likely how you’re going to feel about Puma’s new way to lace up your sneakers. Who even knew this was something that needed to be fixed? Apparently, a lot of athletes. And you once you see how cool it is, we think you’ll be on board. 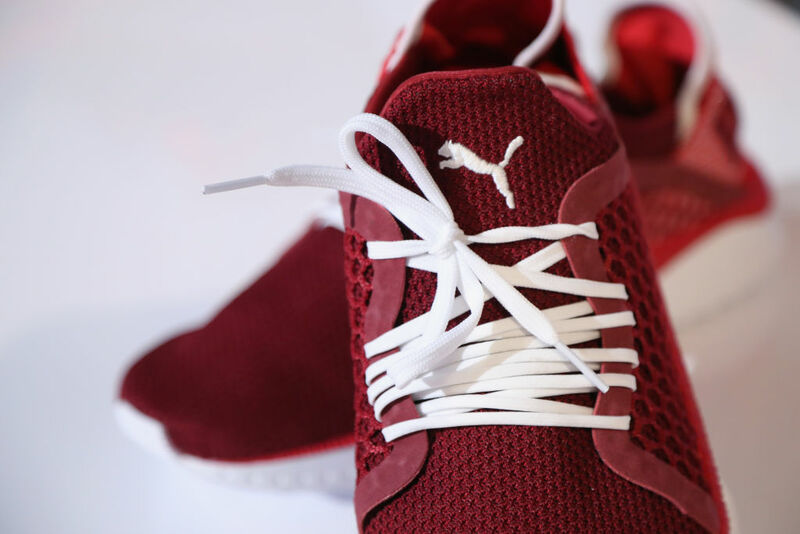 Puma has outfitted its latest kicks with Netfit, a netted fabric on the tops of its shoes that allows you to lace up your sneakers however you see fit. Because sometimes you need extra support, especially when you’re training, or your narrow feet feel better with tighter lacing. Netfit will soon be offered on a variety of Puma sneakers — dropping throughout the summer — so you won’t be stuck with just one type of shoe if you want to play around with your lacing and see what works best for you. Right now, though, you can cop the Puma Ignite Netfit to rock on weekends, while walking your dog, or killing it in boxing class. "The best thing about the Netfit technology is that it is customizable and I can lace them any way I want — not only to get the best fit, but it gives me the opportunity to be creative with it. Sometimes you wish you could just design shoes purely tailored to your own feet, and now you can." We don’t know about you, but we’re totally sold. It’s sort of amazing to think that no one else has thought of this yet. OF COURSE, there should be different ways to lace up your kicks depending on what you’re doing in them. Excuse us while we start our new summer Puma sneaker shopping.